Puna Geothermal Venture today released a statement contradicting “reports by commentators” that warned residents of an uncontrolled release of hydrogen sulfide from the plant. Only one party was named in the statement, which said that Hawai’i County Civil Defense had “no need” to alert residents. Civil Defense released the alert on Thursday, Aug. 7 at about 7:50 p.m., as Hawai’i Island was experiencing the initial impact of Hurricane Iselle. 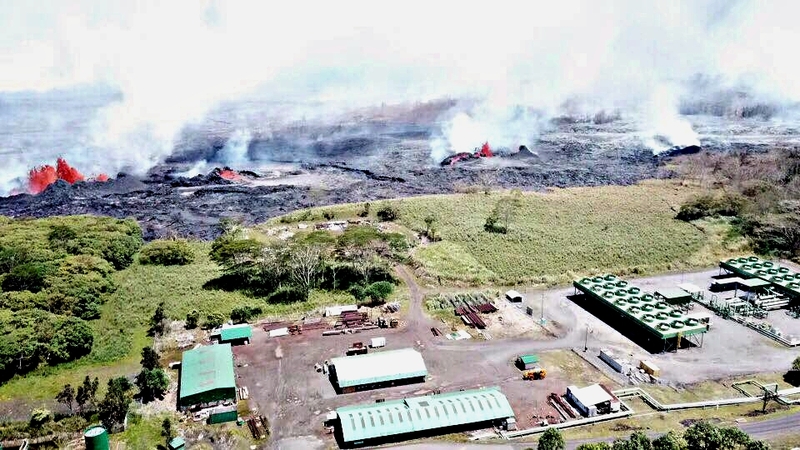 The alert said that hydrogen sulfide — a poisonous, flammable and explosive gas — had escaped from the 38 megawatt Puna Geothermal Venture facility. The geothermal company denied that any such release occurred, saying that it was a procedural emergency steam release that was “scrubbed” with caustic soda and water to remove the hydrogen sulfide. The company said that its staff reviewed emergency procedures in anticipation of the storm, increasing night shift crews and actively reducing the plant’s output in preparation of extreme weather conditions. 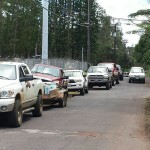 At about 7:30 p.m. Hawaii Electric Light Company lost both transmission lines that PGV connects to in order to transmit power to the electrical grid. With the loss of the transmission lines, the plant shutdown as designed. The bulk of the steam was released within the first 10 minutes. The residual energy of the steam system was safely released and the wells completely shut in in approximately 45 minutes. A relief valve malfunction resulted in a low flow of steam released for slightly longer until isolated approximately 15 minutes later. … Based on the air monitoring during the shutdown, emissions remained below permitted levels and there was never any danger or violation of environmental limits. There was no need to evacuate, but Hawaii County Civil Defense alerted residents that they could evacuate voluntarily. … There are about 70 employees and contractors at the PGV site on Pohoiki Road in Pahoa supporting the maintenance activity, and we have no reports of illness or nausea. Civil Defense Director Darryl Oliveira. Courtesy photo. Director of Civil Defense in Hawai’i County, Darryl Oliveira, did not immediately respond to inquiries regarding Puna Geothermal’s statement. 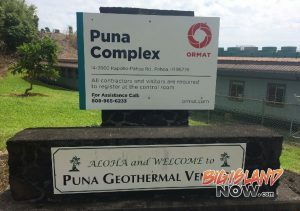 Puna Geothermal says the plant has remained offline since the storm, and expects to restart on Friday, Aug. 15, depending on transmission line availability from HELCO. The company also said it would distribute this information to area residents at community assistance centers including Nanawale Estates, Leilani Estates, Hawaiian Shores and Hawaiian Paradise Park Community Centers as well as Kalani Honua Retreat and J. Hara Store.